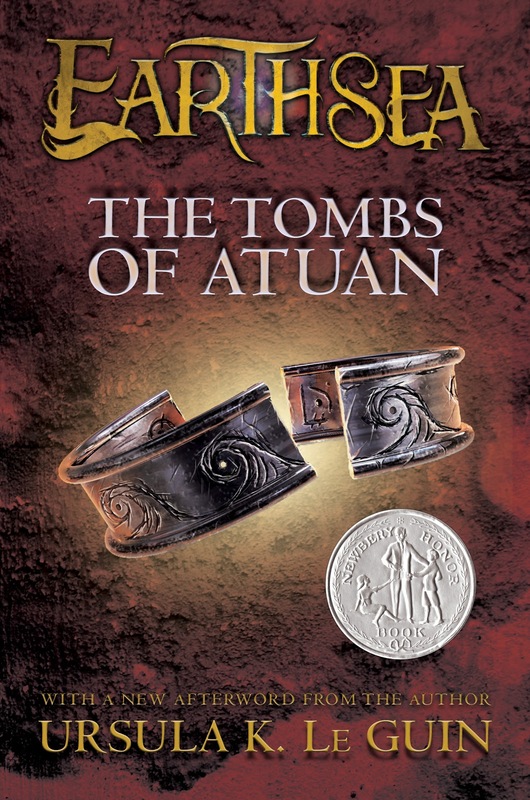 I have always heard wonderful things about LeGuin's work and this series in particular. Sadly, I've not read them myself! I have only recently learned about these books. They're on my (long) wish list. These covers are absolutely gorgeous! I've been hearing about these books for ages but I've never gotten around to reading them. 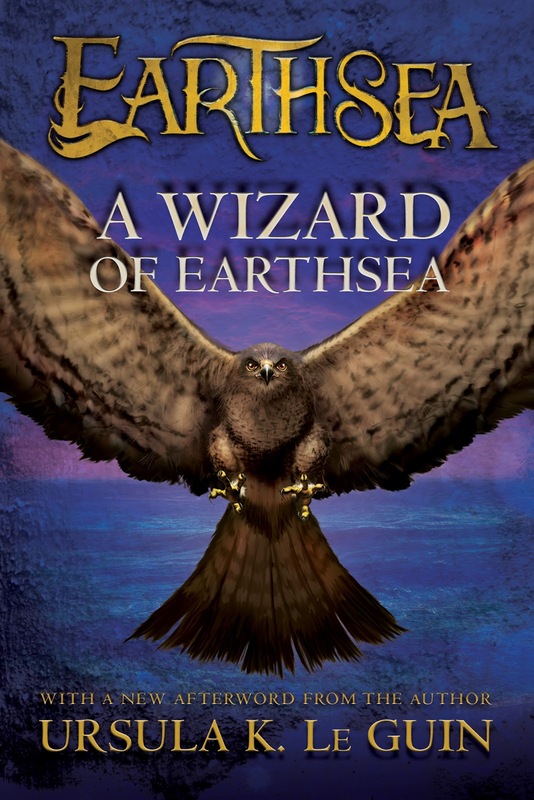 My favorite cover is Tales from Earthsea, closely followed by The Other Wind. 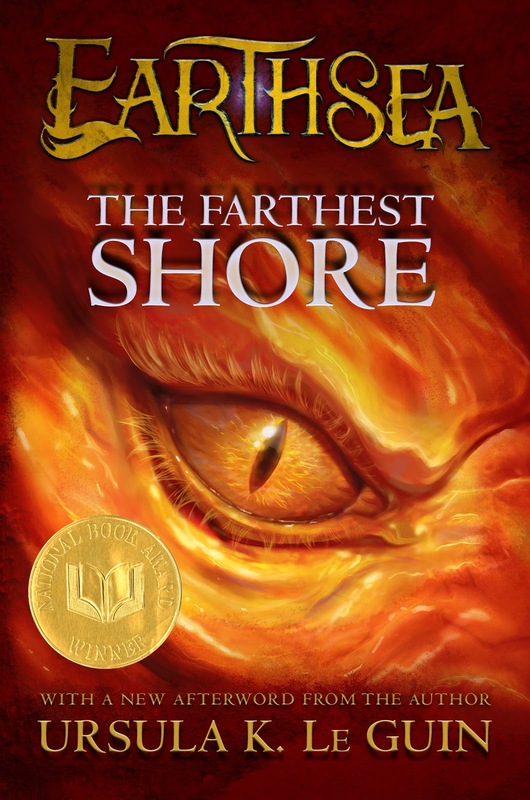 I think THE FARTHEST SHORE has the coolest cover. That eye looks fierce. 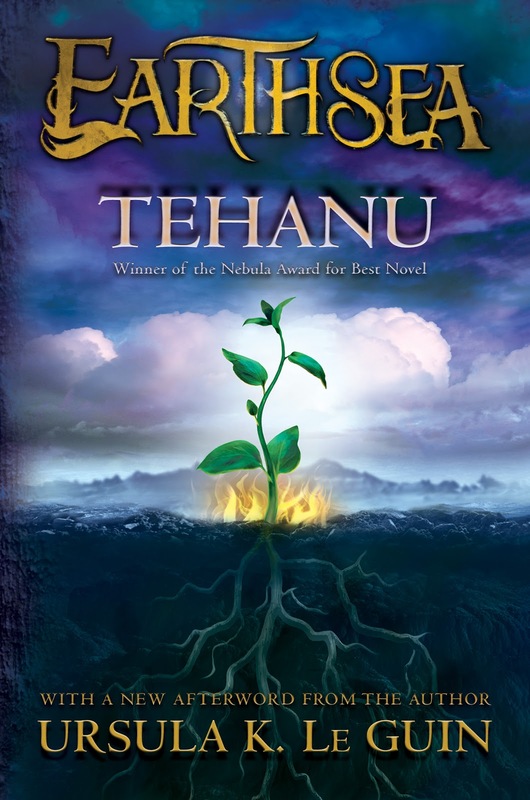 I've always wanted to read Le Guin's books. I've read one book of hers and it was great. 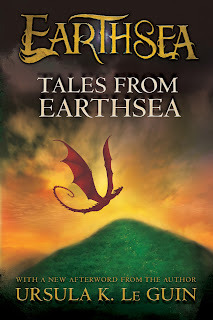 I like the Tales from Earthsea cover! I have heard wonderful things about the books but have not read them yet. 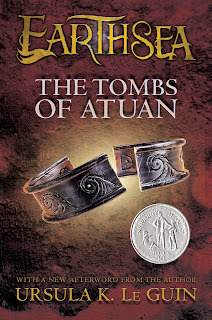 My favorite cover is The Tombs of Atuan. Love The Other Wind cover and holy hell, I've wanted these books FOREVER! 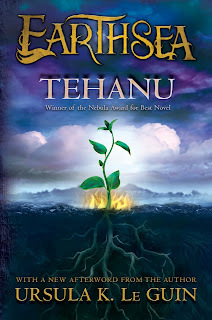 My favorite cover of the new set is probably Tehanu -- the colors appeal to me and although it's a simple design it's very intriguing. 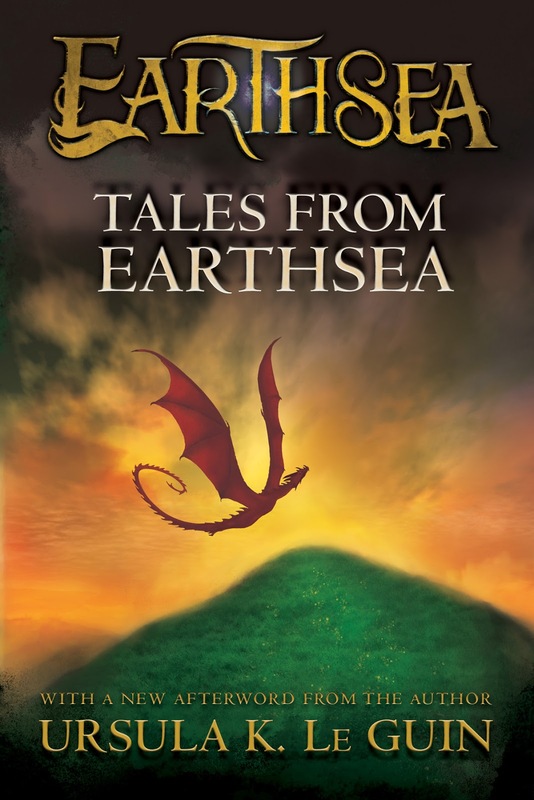 Favorite Cover is Tales from earth sea. The reason I want to read them so much is my mom is always telling me how much she loved them. I have loved these books for so long, it's really nice to see them re-issued. My favourite story was always the first, but my fav new cover is the Farthest Shore - it's gorgeous. Thanks for the giveaway. Wow, these are all gorgeous covers! I have been intending to read the books for ages, but somehow have never gotten around to it yet - so thanks for hosting this giveaway and bringing these books back to my attention! 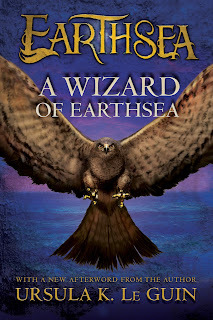 In terms of my favorite cover, I'm going to have to go with Tales from Earthsea. I've been meaning to read these for ages, but now I must with these beautiful new covers! 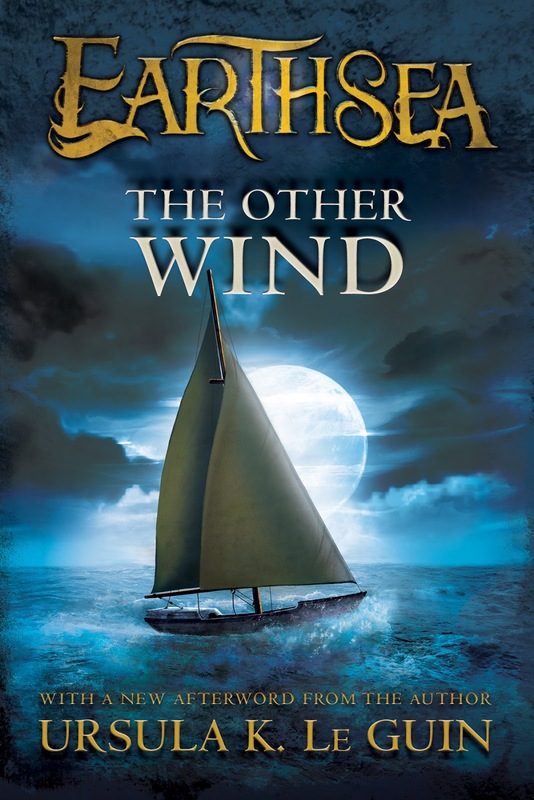 My favorite is probably The Other Wind. It looks mysterious...plus there's a boat!